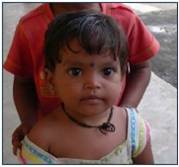 SHAHANI TRUST was founded by the Late Shri KISHINCHAND T. SHAHANI in 1958 with the objective of promoting the causes of Education, Medicine and Low Cost Housing. 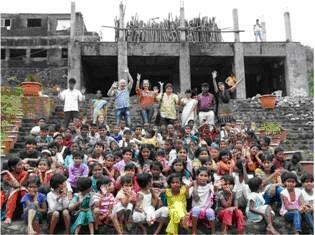 The Shahani Trust has been instrumental in the formation & development of several Schools and Colleges in and outside Bombay. The most prestigious College to come up with the active support of the Trust is the THADHOMAL SHAHANI ENGINEERING COLLEGE in Bandra, considered to be among the top engineering institutes in Maharashtra. The Trustees of Shahani Trust are on the board of the Hyderabad (Sind) National Collegiate Board and the Jai Hind College Board. These boards control around 24 schools and colleges all over Mumbai, including K.C. College, H.R. College, Jai Hind College, National College, MMK College, Kundnani Pharmacy College, and Watumull Institutes etc. The Trust has set up a number of schools in Bairagarh (Bhopal). 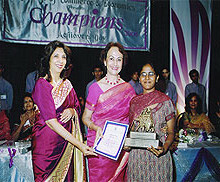 Which include the K.T.SHAHANI HIGH SCHOOL, ANANDRAM T.SHAHANI SCHOOL & TEJIBAI T. SHAHANI SCHOOL. 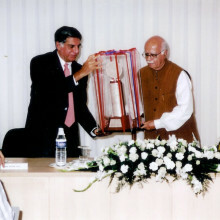 Along with the schools the Trust has set up the DAYARAM T.SHAHANI AUDITORIUM (for marriages, school functions & community meetings), AJIT SHAHANI COMPUTER CENTER at the Sadhu Vaswani College and the LILA SHAHANI LIBRARY. A school for girls called the K.T. 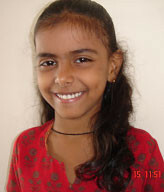 SHAHANI GIRL’S HIGH SCHOOL has been set up in Gandhidham (Gujarat). Apart from setting up of various educational institutions, The Shahani Trust helps towards the education of the poor by providing them with fees & money for booksand by granting scholarships to deserving students. Prestigious Medical Institutions like Jaslok, Hinduja, Tata and Chanrai Hospitals and the National Kidney Foundation have close links with the Shahani Trust. 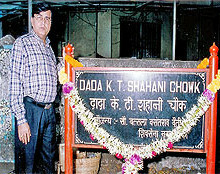 Jaslok Hospital was Dada Shahani’s brainchild, and was nurtured by him till he passed away. With the financial help of the Thadhomal Shahani Trust, the Bombay Mother’s and Children Welfare Society set up a Diagnostic Center, called “The AJIT SHAHANI MEMORIAL DIAGNOSTIC RESEARCH CENTER” in memory of the Late Ajit Shahani (Son of Late DADA KISHINCHAND T.SHAHANI).THE LILA KISHINCHAND SHAHANI OPTHALMIC WARD was opened in the same center. Both these facilities give highly subsidized medical treatment to the low income residents of the surrounding area. The LILA SHAHANI CENTER for the early detection of cancer was set up in Naigon with the help of the Cancer Patients Aid association. This has saved many lives because of the timely intervention and medicare given to patients. The Trust has also donated an ambulance to the Cancer Patient’s Aid Association and sponsors the medical treatment of cancer patients. The Shahani Trust has constructed low cost housing colonies totalling around 360 flats. These flats were given to low income families on a highly subsidized rental basis. The Trust also runs The SHAHANI HOLIDAY HOME in LONAVALA which was constructed as a health and holiday resort in 1971 on a non-profit basis. The Holiday Home has 62 rooms with attached bathrooms, three large garden rooms, fully functioning restaurant and conference facilities. A colonial style bungalow in Mahableshwar is frequented by families seeking a peaceful holiday. This property is also meant for low income groups. The Trustees of Shahani Trust help in the running of the JUSTICE H.K. CHAINANI ELDER’S HOME in The Shahani Colony in Mulund. This home houses around fifty senior citizens on a subsidized basis. A big hall for the mentally challenged children was constructed in Munkhard, Chembur in the memory of Lila Kishinchand Shahani. In order to promote rural development, SAGE Foundation has committed to adopt villages where it will provide educational enhancements, healthcare and tree plantations. 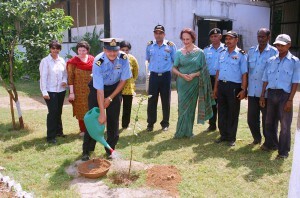 It has recently joined hands with the XL group (www.resultsfoundation.com) and PATT Foundation (www.plant-a-tree-today.org) to be part of growing a billion trees for mitigation of green house gases and carbon reduction. Global warming is a big concern for the Shahani Family Trustees. The Trust sends hundreds of monthly money orders to needy families for educational aid, healthcaare & relief of poverty. Shahani Trust has formed a networking base of NGO’S, industry, government bodies, spiritualists, educationists and environmentalists, ensuring that all organisations work in synergy to build a better tomorrow. The Founder Trustee’s children and grandchildren have pledged themselves on the occasion of his birth centenary to see that the good work started by him will continue for generations to come.